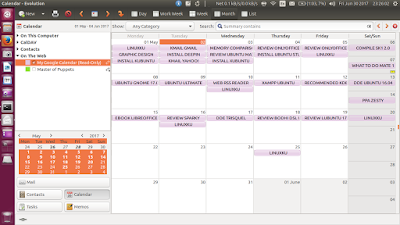 You can read your online Google Calendar account with GNOME Evolution on desktop. 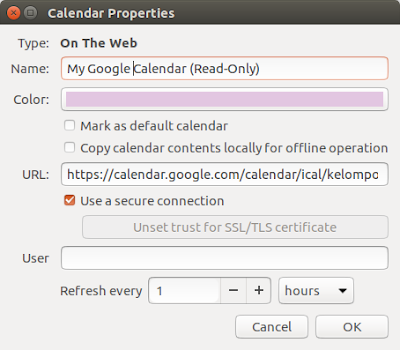 By using this setup, you can read but cannot edit/add events, so it's best if you wish to sync the same calendar account for many computers. This simple tutorial gives you the easiest way to do it. 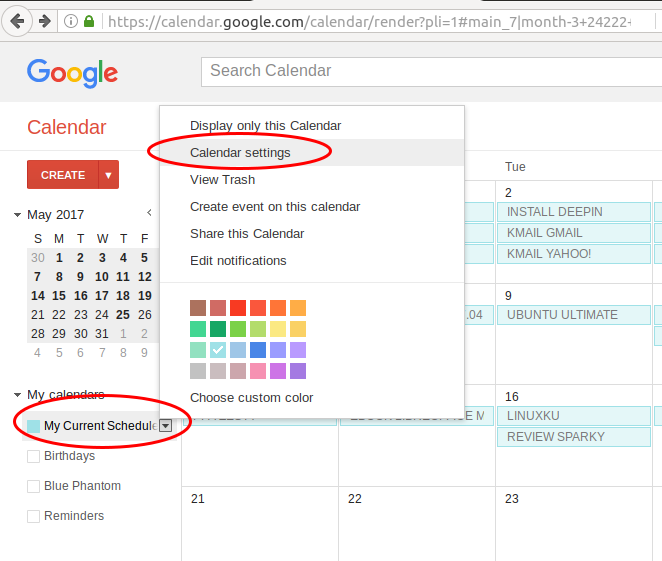 Visit calendar.google.com address on your browser. 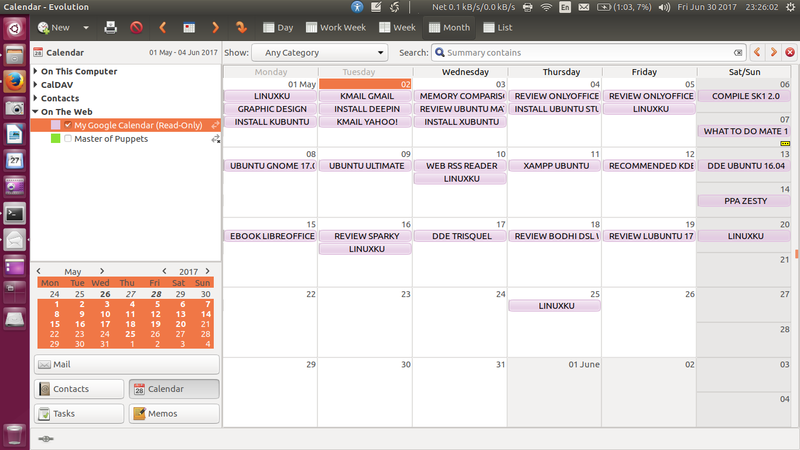 You should see on the left panel, your calendar(s). 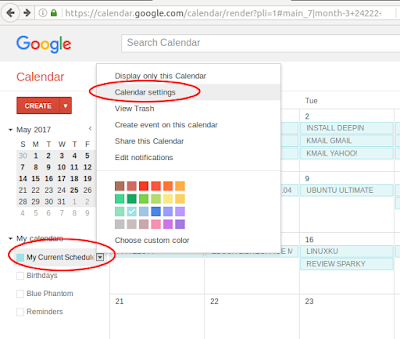 Click on the triangle on a calendar name > select Calendar Settings > on Settings page see Private URL field > copy link URL of the ICAL logo. 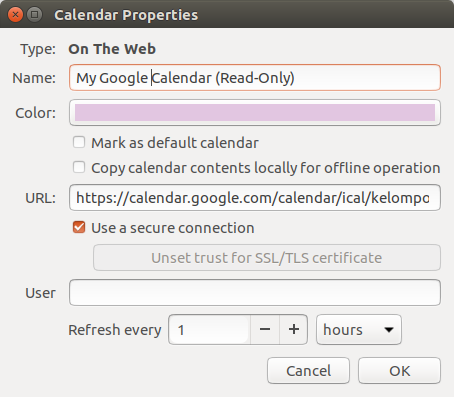 Now run Evolution > go to Calendar view > add new Calendar > select "On The Web" option > paste the URL > blank the username field > OK.
Now, Evolution should be able to show you all your calendar. Remember, this setting is read-only access.